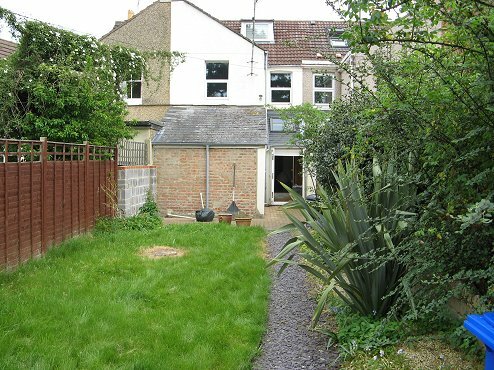 This long and narrow garden was mainly lawn with no defining features. 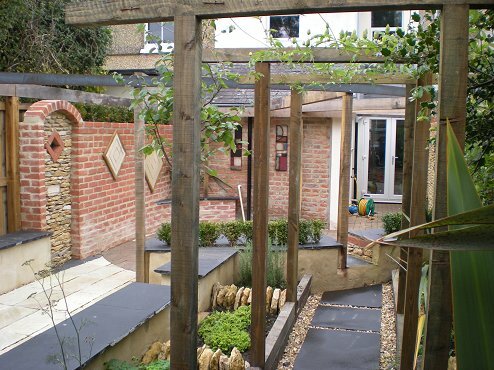 The client had recently erected a new garage at the furthest end and was keen to create an entertainment garden for him and his fun loving mates. Concrete walls were faced with hand cut cotswold stone with inset diamond niches to hold mirrors and candle-lights. 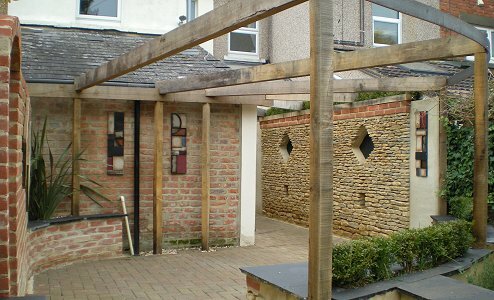 An oak pergola radiate's from the kitchen/lounge around the main eating area. Steel winds throughout. The Grassroots team pulled off what has been merited as one of the most inspiring design concepts for such a confined space. 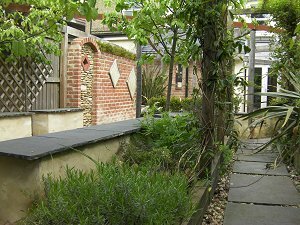 The client was especially thrilled by the imaginative use of natural materials combined with contemporary steel and artwork.